As you know, Disney invited me to attend the red carpet premiere of A Wrinkle in Time in LA last week. During this trip, my group had the opportunity to interview Oprah Winfrey, Reese Witherspoon, Mindy Kaling, Storm Reid, and MORE! My schedule was completely overbooked but I wouldn’t have it any other way because I love to get in as much as I can for the blog while out West. Those trips always bring so much excitement and adventure! What more could I ask for as a writer? Today’s blog post is about my thoughts on the film. 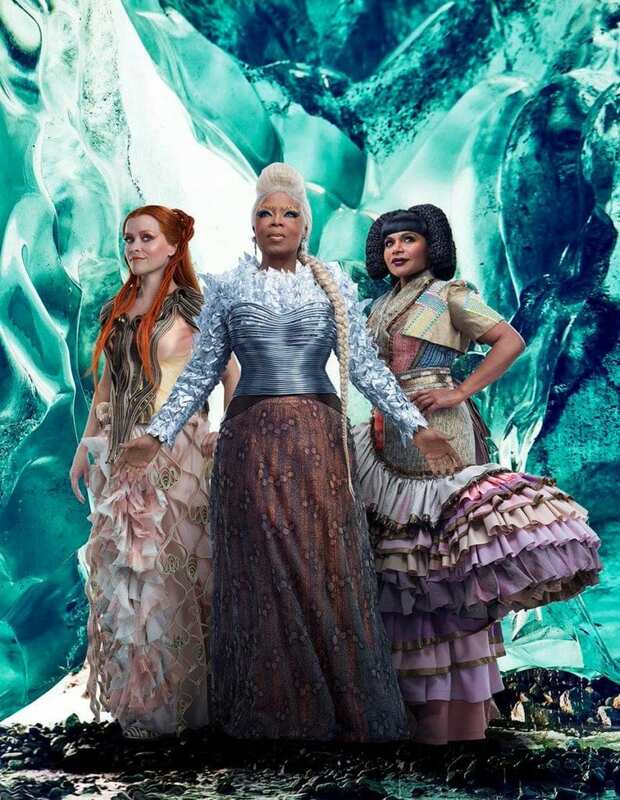 My official A Wrinkle in Time review! I know that some parents are wondering if they should head to the theatres this weekend and are turning towards critics/writers who have already screened the flick for advice. I won’t tell you any major spoilers. So rest easy! I am adamantly against blog updates like that. When I stumble upon a write up that gives away too much of the storyline, it drives me bananas. Instead, I’m going to answer questions that I think you might have. Should I Take My Kids To See A Wrinkle in Time? Short answer – yes. Long answer – here we go. I had to see A Wrinkle in Time TWICE. I screened it on the day that I arrived in LA because I had to set up for the press junket which took place prior to the premiere. I watched the film the second time after walking the red carpet. So, I have a lot to say after consuming this media twice. When I first sat down to watch A Wrinkle in Time, I went in with Black Panther in my back pocket. I was thinking from a studio’s perspective. I assumed that A Wrinkle in Time was going to compete with Black Panther because Disney chose to release that title directly after a billion dollar movie. (Has it hit a billion yet? It will. Let’s just leave this in for now.) So, I sat down with my popcorn ready to leave the theatre with a new hand motion and a deep bond with the rest of the people in my row. I wanted to join the revolution! 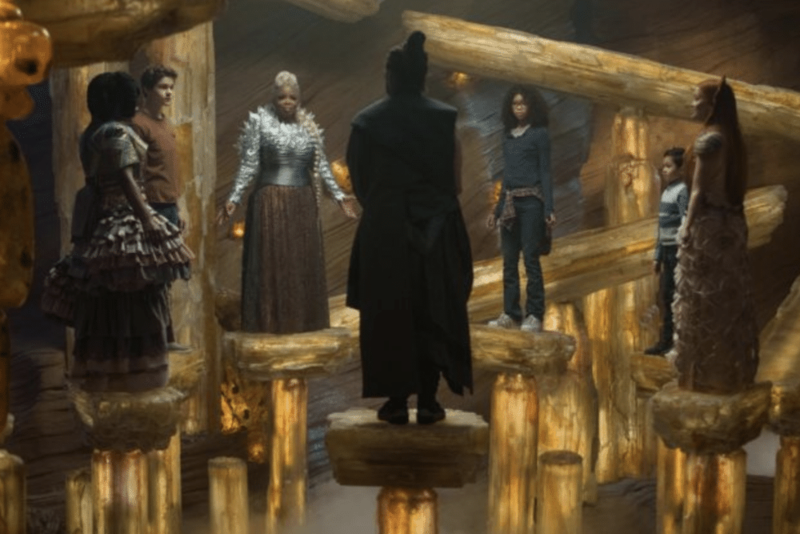 Spoiler alert – A Wrinkle in Time is no Black Panther. Leaving the movie with my deflated balloons confused me. Where was Wakanda? I didn’t understand? The next day – I interviewed everyone involved in the creation and production of the film and got a better understanding of what their vision was. The movie was created for children. The movie was about hope and about finding it in yourself to love yourself. The movie was about self-acceptance… and as a mother of a tween girl, I understood the power of that message and how many little women needed to hear it. So, after the interviews, I went into the premiere and shed all Black Panther expectations. I walked in with a clean slate and with no ties to any other previous films. I walked in with an open heart and an open mind… and I bawled my eyes out a good 4 times. I really enjoyed the message. This is a movie that every tween needs to see. This is a movie that every parent needs to see. There is a moment in A Wrinkle in Time where a child opens up about how hard his parent is on him with regards to school. His father belittles him if he doesn’t get As on tests. Of course, in the movie, the parents is really over the top – shouting and degrading. It’s absolute abuse. I do NOT react to my children on this level, but you better believe I act highly disappointed whenever they come home with a failing grade. That small scene – maybe it lasted 10 seconds and that is not an exaggeration – shocked my system to the core. I saw myself in that parent. NOT TO THAT EXTREME – have to reiterate that again! But I absolute remembered several conversations I had with my daughter where I expressed absolute disappointment in her and her grades. What did I do to her self-worth during those conversations? How did I scar her soul? When I came home, I actually hugged my children and promised more compassion and support. I didn’t mention why or HOW, but in my heart, I knew that I would lighten up a bit moving forward. I wasn’t a great student in school. I pretty much got it together during my junior year of COLLEGE. Yes, you read that correctly. I floated through every other grade with 80s and not a care in the world. Because… boys. And you know what? I’m surviving in this crazy world we call home today. My kids will too. I know I promised no spoilers, but I have to tell you a little something right now in order to prepare you for the final “boss” battle. Meg – the main character of the movie – gets thrown around a bit by THE IT (aka darkness, evil, all things with bad intentions) and you can really see her flopping from one side of the screen to the next. Now, I tend to show my children scary movies because it is my favorite genre, but the people who get hurt are usually adults – not children. While I was watching this scene, I questioned whether or not my youngest would be able to handle it and I am not so sure? My ten-year-old and my 12-year-old wouldn’t even bat an eyelash at this moment that I am focusing on… but my five-year-old would probably want to close his eyes. Better yet, I would probably want to close his eyes for him. Otherwise, I am pretty sure I would find him in our bed for the next week or so afraid of the dark. So, if you have children under 6, I would suggest that you get READY when it looks like they are inside a brain. It is a pretty grey looking scene. So, it is very easy to figure out once it starts. The rest of the movie is pretty colorful once they get off of Earth. This will not be a problem to find. What Hot Topics Does A Wrinkle In Time Address? The movie circles around bullying, self-esteem issues, family balance, depression, and more. I think it does a very good job at balancing these mature topics and toning them down for children to consume. After all, our little ones are faced with these challenges on an everyday basis. It’s what we can do as writers, filmmakers, storytellers, and caregivers to help them process their emotions that will make a positive change. 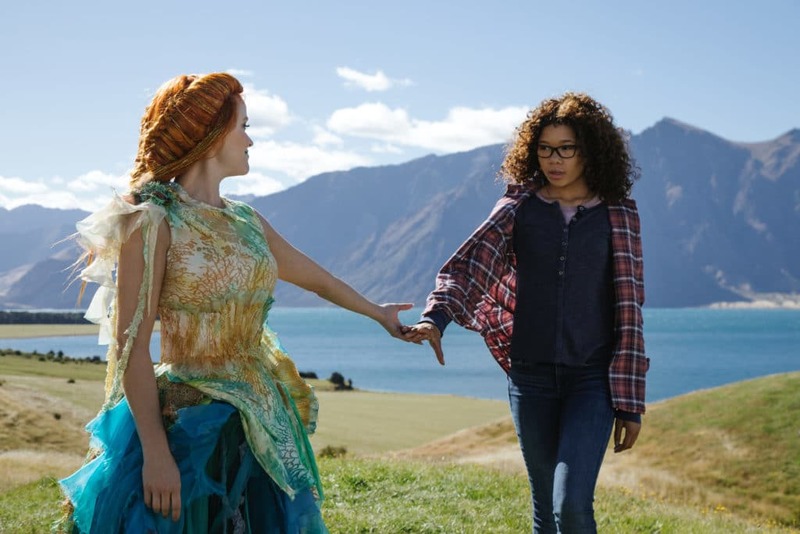 A Wrinkle in Time addresses bullying but then gets behind the curtain a bit and shows the audience why the bully is the way she is. I like that they took it a step further with all of their supporting characters. You couldn’t help but feel for everyone in the mix. These topics aren’t too heavy either. Meg is depressed, but not to the point where you would feel concern for her safety. Meg is insecure, but to the point that you empathize. Meg has personal struggles at home but… so does everyone else. So, that last one was a very easy pill to swallow. Why A Wrinkle In Time? I’m going to sound old here – so get ready for it. TV today loves to show children revolting. They know it all. They are smarter than their parents. They have nasty attitudes. You don’t root for sitcom children in 2018. In fact, I believe the way children are written into family night programming is partly the reason why family night programming is failing. I don’t watch many shows with everyone together because I don’t like what I see as a mother. And while my children might get an absolute kick out of these actors being rude and crass, it’s just not something I want to invite into my fold. 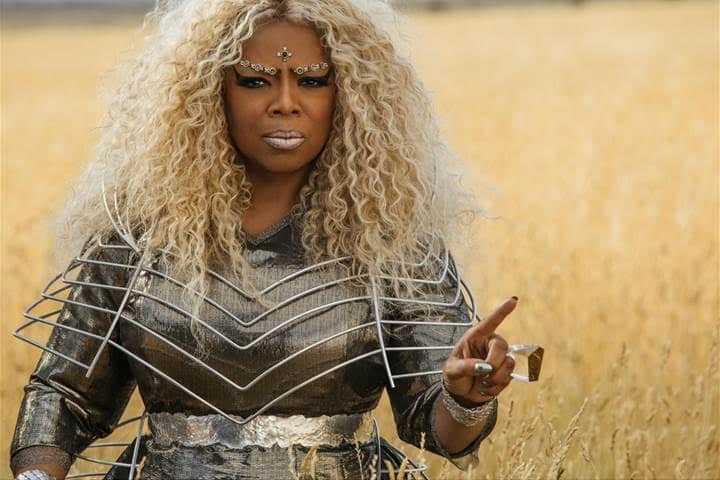 A Wrinkle in Time shows something more. It shows something better – something whole. 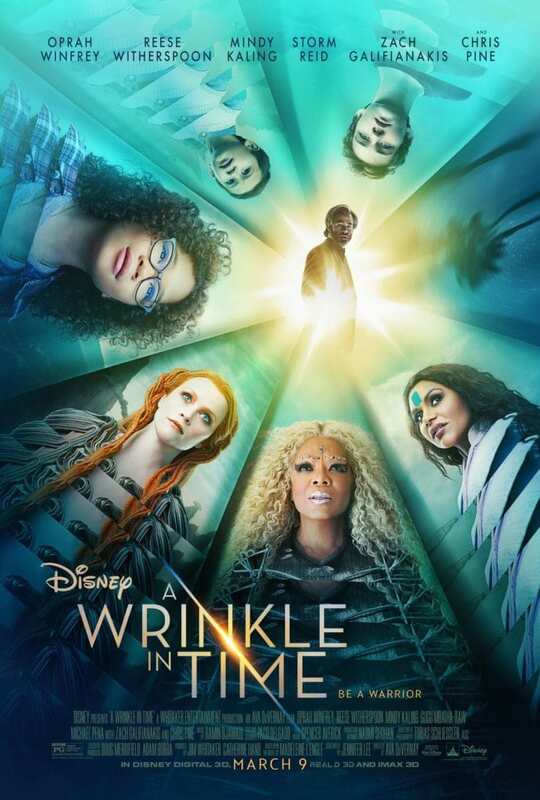 A Wrinkle in Time shows a brother and sister who are absolutely loved by their mother, who are fiercely bonded and united as one, and who together can do anything they set their minds to. This movie represents the family that we are all craving – even if Dad is a galaxy away. I want my daughter to see Meg fight for her brother and go to any lengths to save her father… because that is what I want my daughter to do as well. I don’t want my daughter to mimic anything I see on TV these days. Where have all the role models gone? Well, I met them. Storm Reid. Levi Miller. Deric McCabe. Your children need these role models – especially today. We are all so confused. Social Media is trying to do whatever it can to get a click. The meaner the prank, the crazier the stunt, the wilder the dare – that’s what our kids consume all day long. Give them some whole food. A Wrinkle in Time will fill your family right up. A WRINKLE IN TIME opens in theatres everywhere this Friday, March 9th!